Why is it a Great Gift ? : A must-have for every man. 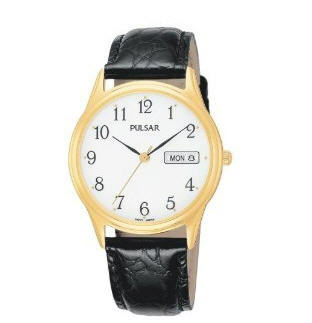 This classic dress watch features a gold-tone, round case that is accented by a white dial. 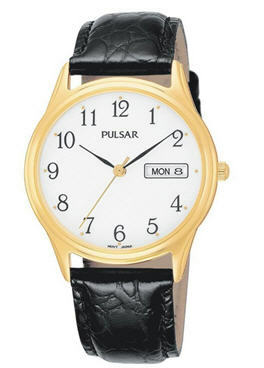 The English / Spanish calendar offers an added convenience while the black leather band provides a comfortable fit. 30M water resistant.